Hello everyone, I have my stitching bug back :D I am almost finished the rabbit except for the pink in the ears and the back ground is getting there. The dark green is almost done I just need to finish the last little bit. Then I have to put the purple shadows underneath. I will be able to start another one, soon I just need to decide what I want to start. I think it will be the boxers. But I have bought the fabric for JEs winter fairy. I have to think about that one a bit more and work out what frame to use. This is a question for my followers what sorts of frames do you use for big pieces. I have one I use for little ones but what do you use for big stuff. 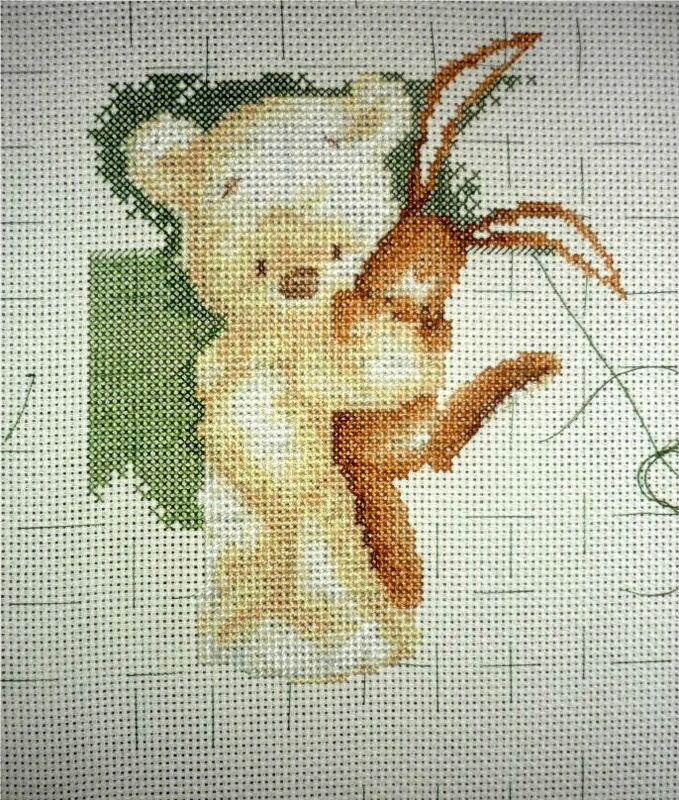 Lickle Ted - crosses done now onto backstitching!